Tutorial: How to apply false eyelashes! 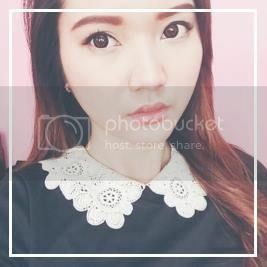 | misskatv.com: Tutorial: How to apply false eyelashes! Tutorial: How to apply false eyelashes! Someone asked me to make a tutorial on how I apply my false lashes. I'm no false eyelash expert but you can try my personal techniques on how I apply mine. Oh, If you can tell it's not my eyes. I'll be using my cousin Siena for today. She never tried wearing lashes before so I thought she's the perfect model for this tutorial. 1. First I consider what false eyelashes would work for my eyes and what's gonna be a good fit. I like to take it away from the packaging very carefully to avoid any damage with the use of tweezers. to see if I needed to cut them off or if it's enough. 5. I flex the bands a little to help me apply it easily. 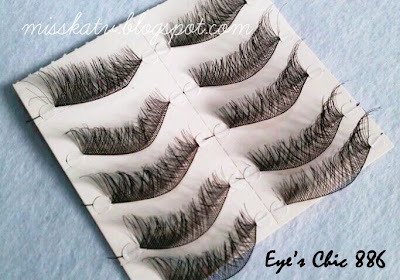 Most of the time false eye lashes comes with a lash glue, you may use those and test it out. I would not suggest you to buy an expensive lash glue especially if it's your first time to try it on. 6. Apply glue on the bands. Try not to over apply. Next, wait until it gets tacky. Maybe 30-40 seconds. Don't immediately stick it on your eyelids. It's useless on that point of time. I also suggest not to curl your lashes or apply mascara before applying falsies. It may give you a hard time applying them. 7. Apply it close to your real eyelashes and press it carefully. You may wanna use a pair of tweezers while doing this. 8. Wait 30seconds to dry them up. and apply your favorite mascara. You may wanna take a cotton bud and slightly press it on to the glue. The cotton will eventually absorb the excess glue especially if it's still wet. Cotton buds can also be used will pressing the lashes while waiting for it to dry. PS: You can remove it from inside-out. It's much less painful. thank you for this tutorial! I really have a hard time putting false eyelashes on because it always pokes my eye~ >< but i will try to work hard on it! This morning, I tried applying false lashes and I failed. This will help me a lot. Thanks. cool! thanks for sharing. the cotton bud was a nice tip! I love the effect of this false lashes. They look like eyelash extensions instead. Very pretty! I find that the glue provided usually don't work for me though. I'm using one called DUO or DON and it last till now. A little goes a long way. Great post I always have trouble with applying false lashes so this is a great step by step guide for me to follow. These falsies look amazing on you. I can't apply them at all... well, I can now, but I need to cut them in half and apply in sections because otherwise it'll just look so messy. Thanks for the tip sis. I am really looking for this tutorial. And you look like an anime sis.. :D muah! Hellο, I wаnt to subѕcribe fοr this blog to obtaіn mοst rесent upԁates, thus where can i do it pleaѕe help out. dead batteries again. If that suits you this feature, seek out LED flashlight reviews that mention focusing light beams.